 Please note that this call is open for Full Applications only! The next call (8) for Expressions of Interest (EOI), is open from 29 June to 12 October 2018. Please consult our website for more information.  Approved Expressions of Interest in Call 4 and Call 6 and rejected Full Applications can apply in Call 7.  This guidance is meant as an introduction to the programme and provides the most important rules and requirements for applicants. It is not intended as a replacement for the official documents and rules, and all applicants should refer to the official documents before they apply to the programme. Please note that there is also specific guidance for each call for applications, which sets out any special conditions applying for that call. You can find the specific guidance at the end of this document.  The North Sea Region Programme is open to anyone in the programme area, which is the whole of Norway and Denmark, eastern parts of the United Kingdom, the Flemish Region of Belgium, northwest Germany, the northern and western parts of the Netherlands and the south-western area of Sweden. There is a detailed list of regions in the Cooperation Programme.  You must apply as part of a partnership, and every partnership must include at least 2 beneficiaries from 2 different countries. However, projects should have a positive effect on large parts of the programme area so only meeting the minimum requirements will generally be considered a weakness.  You need to be a legal entity (organization or enterprise) based in the programme area in order to apply. There are limits on which private sector organisations can perform the role of Lead Beneficiary. Please see Fact Sheet 13 for details. Partners from outside the programme area can be part of a partnership under special conditions. However, it is difficult for the Managing Authority to establish effective control and audit arrangements for countries outside the North Sea Region. You should therefore be aware that partners from outside the North Sea Region may have to be excluded from the partnership. Consult Fact Sheet 18 for further details.  The programme funding period is 2014 to 2020, but this is only the period when the European Commission provides its funds to the programme. These funds can be spent for some years after the final grant is provided by the European Commission. All projects, however, must complete all activities, including final reporting, by mid-2023.  All project developers are asked to submit an Expression of Interest. If the programme’s Steering Committee approves the Expression of Interest, the project will be asked to develop and submit a Full Application. If this is approved, the project can start work and will receive a contract.  After an Expression of Interest is approved, the project team must submit a Full Application prior to one of the next two meetings of the Steering Committee at which Full Applications are decided upon.  The Full Application requires detailed activity plans with targets, budgets, and timelines, as well as technical information and funding guarantees from beneficiary organisations. A lump sum payment of €20,000 is paid to all approved projects for preparation costs, provided they request it in the full application form. It is very important that you read this section before you submit a Full Application!  Every project submitting a Full Application must appoint one Lead Beneficiary contact person and one Authorised Signatory at the time of application. The contact person and the Authorised Signatory cannot be the same person. The Authorised Signatory must have the legal authority to sign on behalf of the beneficiary organization and is the only person who may submit a full application form to the Joint Secretariat.  The Lead Beneficiary contact person should be the project manager (or similar). They open the application in the Online Monitoring System and enter the Lead Beneficiary organisation’s contact details. They will then be able to invite the Authorised Signatory to register in the system.  The Authorised Signatory will receive an email with the invitation to register (they should check their email junk folder, in case it gets caught by the SPAM filter). Unless the Authorised Signatory is already a registered user in the system, they will have to complete this process. Once this has been done they will be invited to log in to the Authorised Signatory part of the system where they can download and upload the forms discussed below.  There is a special procedure to verify the identity of the Authorised Signatory and their relationship to the Lead Beneficiary organisation and the prospective project. This is the only part of the regular project life cycle that requires the sending of paper originals to the Joint Secretariat.  Designation of the Authorised Signatory must be completed before the full application can be submitted. It is therefore essential to start the Authorised Signatory designation process in good time. It is a good idea to start the designation as soon as you have entered the Lead Beneficiary's contact details.  After the Authorised Signatory has been designated by the Lead Beneficiary through the Online Monitoring System, the person selected as Authorised Signatory will export, sign, and mail 2 documents to the Joint Secretariat (‘Authorised Signatory roles and duties’ and ‘Authorised Signatory verification of agreement’). These forms need to be uploaded via the programme Online Monitoring System as well. Once we receive these two documents, we will issue a pin code to the Authorised Signatory and send it by post. Upon receipt of this pin code, the Authorised Signatory will be able to activate his/her digital signature and submit an application. This somewhat complex procedure is a compulsory security measure that allows us to work without paper on other aspects of project administration.  Who should the Authorised Signatory be? The Authorised Signatory does not have to be the highest-ranking member of staff at your organisation. It just needs to be someone with the legal authority to sign documents and enter into contracts on behalf of the organization. The Authorised Signatory will be the main formal contact between the project and the programme so it should be someone who is familiar with the project.  The Authorised Signatory is the formal signatory for the rest of the project. They will sign reports, change procedures, sign the project contract, etc. As the designation may take some time, please make sure to designate your Authorised Signatory as soon as possible and do not leave it until the end of a call. You will not be able to submit a Full Application unless you have completed the designation process for the Authorised Signatory. What kinds of issues does the programme focus on?  The programme has 4 priority themes and each theme is divided into two or three specific objectives. Consult the Overview Table in the Citizens Summary for a quick overview of priorities and specific objectives. Every project has to select one specific objective that it will work towards. In past programme periods, broad projects tackling a number of objectives were sometimes approved but projects for the current period must be more focused and all activities must clearly contribute towards the specific objective. If you are not sure under which specific objective you should apply, take a look at the output indicators for the specific objective (Fact Sheet 23). This should give you a clear idea of what the programme expects from projects under each specific objective.  The descriptions of the priorities in the Cooperation Programme also include examples of the types of activities and outcomes expected. These are only examples! Any relevant activity that clearly requires cooperation and will contribute strongly to a specific objective can be considered for funding. Likewise, the fact that an activity is mentioned in the Cooperation Programme does not guarantee that a project application will be successful if it includes that activity, especially if the overall contribution to the specific objective is weak.  In addition to specific themes, all projects granted funding under the programme have to comply with a number of cross-cutting issues like the need to promote equal opportunities and sustainable development. These are covered below.  There is more focus on results in this programme than previous programmes. All projects under the same specific objective will have to use many of the same indicators to ensure that results can be compiled into total figures for reporting to national authorities and the European Commission. Most indicators are compulsory and the system is simple to follow. A separate fact sheet on indicators tells you exactly what you need to do, but as a general rule make sure that the indicators and targets you use are realistic and capture what you are trying to achieve.  Indicators fall into three types. Use the deliverables to describe the activities you will be delivering (meetings, reports, pilots, etc.). Use the outputs (which are automatically selected for you depending on which specific objective you are applying under) to show how the project has delivered against the main programme targets (number of new green transport services, etc.) and how widely you have communicated your achievements outside the partnership. Use your project results to show the benefit and quality of these outputs during the lifetime of the project. For some examples of good results, please refer to this page on our website.  The Cooperation Programme and Citizen Summary also contain some examples of successful project types exploring how organizations can work together regardless of theme. These are meant to inspire applicants but do not mean that other types of cooperation are impossible. Are there special rules for Norway? Norwegian beneficiaries and Lead Beneficiaries are treated the same as EU beneficiaries in the North Sea Region programme and are subject to the same rules.  The only important difference is that Norwegian beneficiaries are funded from their own separate reserve of Norwegian money (€8.8 million in total). As a result, Norwegian money is kept separate from EU money in the application and reporting systems. The most important practical result is that even if there are still funds available under a certain theme for the programme as a whole, the Norwegian funds for that theme may be more limited. This makes it particularly important that Norwegian beneficiaries ask the programme about available funding before applying. Can private companies get involved?  Private companies, in particular SMEs, are welcome. They must demonstrate that their work contributes to wider programme goals. For some specific objectives (especially under priority 1), the strength of private sector involvement will be one of the main factors deciding whether a project application is assessed positively.  There are specific requirements for how companies operate in the programme, and all participating enterprises must agree to respect these rules. These often differ from standard private sector operating procedures. The rules cover issues like State aid, revenue generation, real cost principles, public procurement, and record keeping. It is essential that all private sector partners consult these rules carefully before committing to the programme in order to avoid problems during implementation. They are described in separate fact sheets on State Aid (16), Private Sector Beneficiaries (15), and Intellectual Property Rights and ownership of project investments (27). Private sector entities whose activities in a proposed project are related to agriculture, fisheries, or aquaculture are required to consult directly with the Joint Secretariat about their involvement before signing on as a project beneficiary. How should partnerships work together?  All of the beneficiaries in the partnership must cooperate on joint development and joint implementation of the project. As a change from earlier programmes, each beneficiary must state in the application how they will be involved, what they will deliver, and what they expect to gain from the project. It is important that these comments do not address the general operations of each organization but are related to the specific actions to be carried out in the project.  Beneficiaries must also cooperate in the staffing and/or financing of the project. When filling in the application form, projects are asked to explain how staff will work together on delivering the project. There are also various options for using shared costs for activities carried out on behalf of the whole partnership.  The need for transnational cooperation needs to be reflected in the way that project activities are planned and implemented. It is not enough for each beneficiary to act independently and then exchange results. Beneficiaries should help each other to design, implement, and communicate new solutions to the problems they are tackling.  It is also important to involve the ‘right’ beneficiaries – meaning those with the required expertise and contacts in each country. The partnership will be assessed on whether it has the right skills and knowledge in place in each participating country.  The partnership also needs to be viable, which means that all beneficiaries should have a clear role in the project, be committed for the entire lifetime of the project, and be prepared to support activities after the lifetime of the project.  It is also important to demonstrate the involvement and support of the main users of project results. For example, a project to develop new ways of encouraging SME innovation must involve effective feedback from SMEs if the results are to be credible. What is the role of the Lead Beneficiary?  There is a separate fact sheet providing more detail on the Lead Beneficiary's role and explaining different roles and responsibilities within partnerships.  It can be difficult, especially for small organizations with limited resources, to understand all of the programme rules and procedures and fill in the required forms. Although such organisations often fill an important but limited role in the partnership, they may feel that the budgets available are not worth the administrative effort of participation. These partners may therefore participate as ‘co-beneficiaries’.  Small co-beneficiaries can be grouped together as a Local Partnership under one larger Coordinating Beneficiary (generally a public authority of some kind). The advantage of forming this Local Partnership is that all beneficiaries submit a combined claim for payment and activity report (less paperwork). All members of the Local Partnership must be based in the same country. This also means that the whole local partnership can use the same First Level Controller (see below) and get its expenditure checked at the same time (to lower control costs). Co-beneficiaries are still liable for any irregularities in their expenditure and are covered by the standard programme rules for repaying any amounts incorrectly paid out.  All partners can claim reimbursement of 50% of costs for all project activities, although applicants should always check the specific conditions for each call for proposals for information on the total funds still available and any special funding terms that may apply. There is no formal minimum or maximum budget for projects, but projects will be assessed on value for money and larger projects will be expected to deliver significant benefits to the programme area.  The programme launches regular calls for proposals. All project applications correctly submitted through the Online Monitoring System with all relevant supporting documents before the end of a call will be assessed. Applicants should regularly consult the programme website at www.northsearegion.eu for announcements about new calls. As a rule these will happen every six months or so during the start of the programme.  You have to make sure that your project idea fits with the programme. Regardless of thematic strengths, applications can only be approved if there is a clear link to European policy goals and the interests and needs of the wider programme area. The detailed programme strategy and expectations for projects under each priority theme are set out in the Cooperation Programme. A shorter Citizen Summary provides only the information needed for project partners. The Programme Manual provides a short overview of other information.  Cooperation: This should be reflected in a work plan based on joint efforts to develop and implement new solutions. Cooperation should also be understood as bringing together different sectors (sometimes called ‘horizontal’ cooperation) and different levels of administration from local to international (sometimes called ‘vertical’ cooperation). The aim of these multi-level and multi-disciplinary approaches is to develop durable solutions based on winning the support of all main stakeholder groups. This need for cooperation should be balanced against the need to ensure that the partnership remains manageable and focused on core stakeholders. The wider stakeholder network will often not be part of the partnership but will be involved in other ways. This should be described in the application.  Innovativeness: Some parts of the programme focus on ‘innovation’ in the sense of developing new products and services for the market. All parts of the programme should be ‘innovative’ in the sense of developing and spreading new and improved solutions throughout the partnership and the wider programme area. Some projects will try to develop completely new approaches to the challenges they are addressing. Others will try to introduce existing technologies and methods into areas or organizations where they have not been used before. The priority descriptions in the Cooperation Programme contain information on the preferred approach for some specific objectives. Applications should clearly set out the innovative aspects of the projects and how they differ from existing norms and practices in target regions / organisations.  Additionality: Project funds cannot be used to fund the regular activities of partner organisations. The activities carried out in the project should be in addition to the normal work of the beneficiaries, and programme funds will only cover the costs for this additional work.  Integrated approach to territorial development: All activities should be considered in terms of their likely effect on the wider programme area. Project activities should promote balanced development across the region and should especially aim to support regions facing particular geographical, structural or economic challenges. A specific section of the Cooperation Programme provides indications about how this can be approached.  Sustainable Development: North Sea Region 2014-2020 works for the on-going improvement of sustainability. During project development, projects should consider how to ensure net social, environmental, and climate benefits (where possible), in particular when making investments.  Equal opportunities and non-discrimination: All organisations involved in the North Sea Region 2014-2020 must contribute to a positive environment for the active pursuit of equal opportunities and the prevention of deprivation, exclusion, and discrimination in all forms.  Explain links to other policies and funds: Projects must demonstrate an awareness of the main actions and results under related programmes, and applications should reflect on how the North Sea project fits into this wider picture. In particular, projects should highlight specific results from earlier projects that can be used in the new project, and explain how the expected results of the new project will feed back into other programmes and funds. The Cooperation Programme contains an overview of the most relevant policies and funds, but the application should also address national and regional actions.  The project ideas section on the website allows you to publish project outlines and review the ideas being prepared by others.  There are regular events held by the Joint Secretariat offering structured sessions where you can meet potential partners.  National Contact Points can also assist you in making contacts in some cases.  Check online discussion groups and social media for partner search features.  A description of the application procedure can be found in the programme manual.  Expressions of Interest and Full Applications must be submitted through the Online Monitoring System, which also has technical information about how to fill in the different parts of the form. All documentation is electronic so there is no need to send any paper copies apart from the confirmation documents for the Authorised Signatory, as described above.  All partners need to submit a Letter of Intent with the Full Application form. The text for this letter and the amounts entered are automatically generated by the Online Monitoring System. Do not change the text or the amounts once you have submitted this document! If you do, your letter will be rejected and you will have to provide a new one using the approved wording and amounts. What is the Steering Committee really looking for?  Use easy language (answer the right questions in non-technical language). o Is it clear why all of the actions are included? o Is there a clear logic for moving from one action to the next? o What would happen if one activity needed to be changed? Are they all necessary?  Show how you will focus your communication efforts. In particular, have you selected the right target groups and appropriate channels / means for reaching them?  Explain the road to the application. Why has the partnership decided that this project is the solution?  Describe what you want to change and where (geographically). you are aware of the main risks and how you will manage them.  How will you test whether the desired change has been delivered?  Embed your project in the context of regional strategies and other programmes. There is no golden rule for getting a project approved. Following the advice here and using the support available will, however, give you a good chance.  National Contact Points can provide extensive information and individual guidance on how to apply. There is a list of Contact Points on the NSRP website.  Online materials about rules and procedures are collected in the Programme Manual and Fact Sheets.  Project advisors at the Joint Secretariat in Denmark can provide you with phone, email, and/or teleconference consultations on ideas submitted before a call for applications opens. Once a call for applications is open you can only approach the secretariat for advice on technical issues - not on content.  Project ideas submitted to the programme can be found in the project idea section on www.northsearegion.eu. 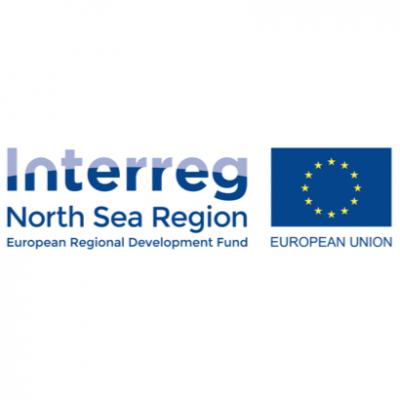  An overview of projects funded during the IVB programme can be found on results.northsearegion.eu. Make sure you check to see whether projects similar to your own idea have been funded in the past and, if so, make sure you explain clearly how you will add to what was achieved in the past.  You will only be able to submit your application through the Online Monitoring System if you have correctly completed all sections.  Once your application is received, it will go through an eligibility check. The purpose of this brief check is to ensure that the partnership and project meet minimum requirements, that there are no obvious errors with the budget or eligibility rules, and that any uploaded documents have been completed correctly.  If your project passes the eligibility check, it will next go through a quality assessment. The purpose of this assessment is to evaluate the extent to which your proposal meets the strategic and operational requirements of the programme and its detailed rules.  The assessment of a Full Application is based on the programme’s assessment criteria. In the case of Expressions of Interest, a limited set of criteria is used to assess the degree to which a potential project will match the programme’s objectives and envisaged results, while the assessment of a Full Application goes further and focuses on how the project will be delivered. It also addresses more technical questions concerning eligibility, horizontal principles, and coordination. The assessments of both Expressions of Interest and Full Applications end with a recommendation to the Steering Committee on whether the project should be approved or rejected. You can find the assessment criteria in the relevant fact sheet.  Assessment of the Full Application will also consider whether the project corresponds to the proposal made in the Expression of Interest. If there are significant differences, particularly with regard to the results that will be delivered and the budget, they will be highlighted in the assessment and considered when the Steering Committee makes its funding decision. How is the funding decision made?  Project applications and assessments, together with a recommendation to fund or reject the project, are provided to the programme’s Steering Committee, which is made up of national and regional representatives from all of the countries in the programme. The committee decides whether to approve or reject the project based on the secretariat’s assessment, and sets any conditions that need to be met before contracting.  The selection decision is primarily based on the assessment of the proposal. Other factors may, however, also play a role, especially the amount of available funding. As a result, there is no guarantee that a project that is positively assessed will be approved. The decision of the committee is final.  All applicants will be informed about the committee’s decision in writing. You can complain if your project is rejected. Complaints can only address the assessment procedure and will be expected to demonstrate that there has been a clear and significant breech of the published procedures and criteria. If a complaint is upheld, your project will be considered at the next meeting. The Complaints Procedure is available online.  You will receive a decision letter as soon as possible after approval. This may include conditions that need to be met before contracting can go ahead. You should wait to receive the decision letter before starting any project activities. Contracts are prepared by the secretariat.  Project expenditure is eligible from the date of approval of the application by the Steering Committee (although there are special conditions for preparation costs). It is therefore unnecessary to wait for the signed contract to start the project.  All beneficiaries in the project must sign a Partnership Agreement no later than by the time of submission of the first progress report. The Partnership Agreement must describe the most important working processes in the project and confirm the deliverables to which each beneficiary has committed. It should also set out arrangements for sharing costs for any activities implemented on behalf of the whole partnership, and for recovering any funds incorrectly paid to a beneficiary for ineligible expenditure. There is a template for the Partnership Agreement in Fact Sheet 14. It is compulsory to use this template.  All beneficiaries in the project must appoint a First Level Controller to check all expenditure. This must be done no later than by the time the first progress report is submitted. Arrangements for appointing controllers vary between countries. Details can be found in the First Level Control Manual. (Please note that Sweden has a centralised system for control and that there are specific rules for Swedish beneficiaries to follow.) In most cases projects will have to remember to set aside a budget for control work and will have to run a public procurement procedure to select the controller (although not in Sweden). No payment will be made to any project that has not appointed controllers for all beneficiaries.  All projects must be implemented in accordance with the approved proposal.  All projects must submit a progress report every 6 months. They must submit a claim for payment at least once every 12 months. Details of timing and the different types of reports can be found in the Fact Sheet on Reporting.  All reports must be submitted through the programme’s Online Monitoring System.  Some projects appoint a consultant or company for project administration and management tasks. It is important to remember that this kind of contract needs to be awarded through a public procurement procedure.  All claims for payment must be checked and approved by each beneficiary’s appointed controller.  There are special rules for activities, beneficiaries and costs outside the programme area. Please check the fact sheet (18) on this issue for more details.  An overview of detailed rules and procedures for project implementation can be found in the Programme Manual. What kind of assistance is available during implementation?  Every approved project is assigned to a project advisor. As far as possible the same advisor will stay with your project for the whole implementation period. Your advisor can clarify programme rules and procedures for you, as well as advise on general project implementation issues. Wherever possible your project advisor will also attend the project kick-off meeting to explain the most important conditions governing the grant and answer any questions you and the other partners may have.  The Joint Secretariat runs regular events for approved projects to explain issues that seem to be causing problems, provide information and guidance on the latest developments in the programme, and allow you to meet and exchange views with other project partnerships.  Whenever a new progress report is due, you will be provided with an overview of any changes or issues you need to be aware of.  National Contact Points are the starting point for information on national rules and regulations.  You have to implement the project as described in the approved application. This means that if there are important changes to the project after it has been approved, you will need to get approval from the programme before going ahead with them. This means that your new proposal needs to be assessed, which takes time. There were far too many changes to projects in past and the rules have therefore been tightened to make sure that most projects just do what is in the original application. Requests for changes should only be made when there are unavoidable and unforeseeable changes in the project’s operating environment.  Agreeing to be part of a project should be seen as a commitment until the end of the project. If beneficiaries become inactive during the lifetime of the project, the project may be terminated. Funds already paid to the inactive beneficiary may have to be repaid to the programme if the beneficiary has not delivered on its commitments in the application form. Please see Fact Sheet 26 on Changes for details.  It is very important for all beneficiaries to keep good records of the project’s work and for Lead Beneficiaries to make sure that beneficiary record keeping is up-to-date and adequate. There is a list of essential documents for the audit trail, but as a general rule you should be able to document exactly why you claimed every amount (invoices, staff salary documents etc. ), the expenditure's importance to the project, and the steps you took to live up to other rules like the providing value for money. The programme has tried hard to make the rules and requirements as simple as possible. You can find all the rules in the relevant Fact Sheets and the First Level Control Manual. In the event of an audit, failure to keep good records may result in a demand to pay back some or all of the grant.  The Lead Beneficiary must check and confirm that (i) all of the costs claimed arise from implementing the project, (ii) that only activities agreed by the whole partnership are included in the claim, and (iii) that all of these activities comply with the contract and the approved application. This is a check that each beneficiary only claims for work that has been agreed as necessary by the whole project partnership.  The Lead Beneficiary must ensure that every beneficiary’s claim for payment has been checked and approved by the appointed First Level Controller. Details of how this should be done can be found in the First Level Control Manual.  See the First Level Control Manual for details about identifying and correcting irregularities.  Communication is essential to ensuring that the most relevant stakeholders are aware of what the project is doing and can become involved. Communication of final results is essential if the benefit from each project is to spread beyond the partnership.  There are a small number of programme rules on communication. The most important of these is the requirement to display clearly on all publications and products that the project has been funded by the European Union. This also applies to digital publications.  The application form includes a separate work package for communications and this issue is part of the assessment of the full application. Even good project proposals can be rejected if communication activities are too weak to achieve communication objectives.  See the Programme Manual and Fact Sheet 25 for more information.  It is a requirement that every project partner disseminate the results it produces as early as possible. Only beneficiaries participating in the programme under an approved State Aid scheme are exempted. The seventh call for applications opens on 29 June 2018 and closes on 1 October 2018. It is open for Full Applications only. Projects can consult with the Joint Secretariat project advisors on the content of their application up until Monday, 10 September, after which they may still speak with national contact points about content-related issues. Between 11 September and the submission deadline, they may only ask the Joint Secretariat about technical issues. A portion of the programme’s funds have already been allocated to projects during call 1, call 2, call 3, and call 5. The table below shows the amounts allocated, remaining funds for each priority, and the breakdown of full applications approved under each specific objective.